"Oh, good morning. I didn’t see you there. 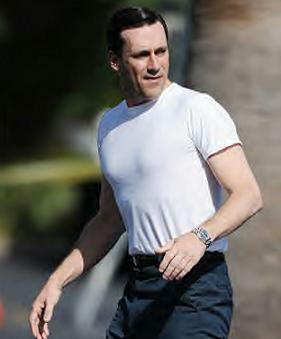 I was too busy walking with purpose to my next scene on the set of Mad Men. Forgive me, but I must dash. I hope you have a really nice day. Actually, I’ll help you out with that. Here are some more pictures of me. I love you.". Well, I see someone else shares my crush! Didn't I call first dibs? 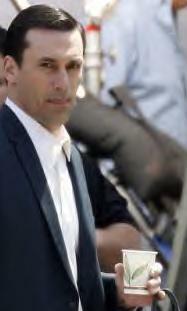 He's a handsome man, that's for sure! 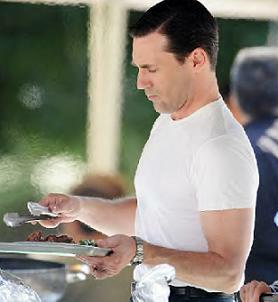 More pics of Jon Hamm on the set of Mad Men here.